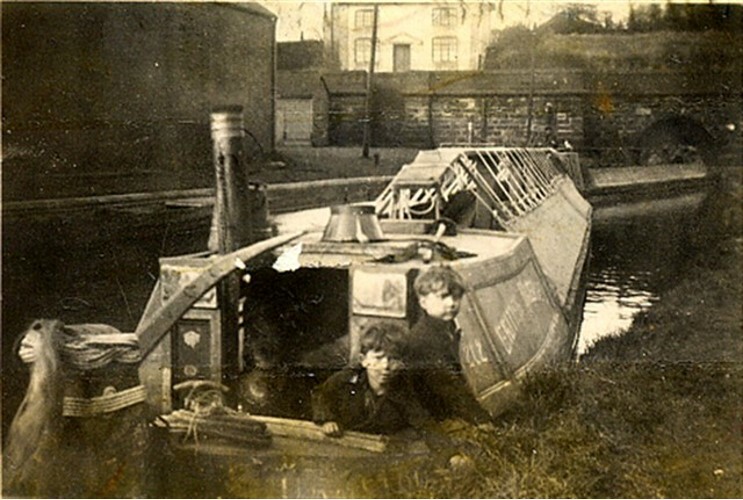 After a period as a single motor, the boat had the stern cut off and was converted to butty in 1951. The black & white photograph (supplied by Nicola Watson) was taken in 1950, when it was captained by her grandfather James Dean, who worked it with Kangaroo and Roach. It was photographed at Gnosall in 1957 being towed in a line of three with two motors (Kangaroo at the front and Roach in the middle) ahead of it. This was apparently a common practice at this time.